This rare piece of furniture is imported direct from Italy. 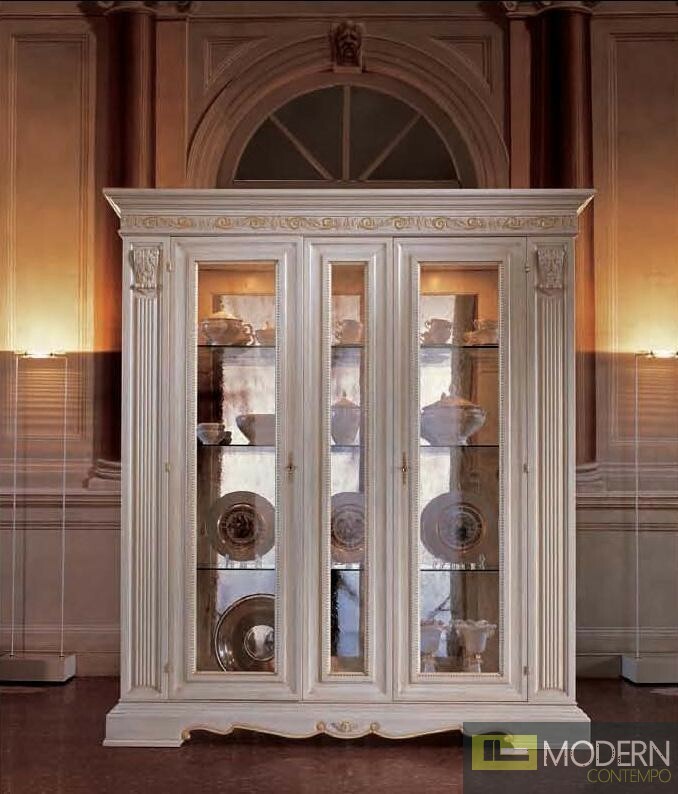 The San Marco White Dining Display Cabinet basks in regal glory. It is constructed of all-natural wood, coated in a clear veneer, and given an attractive, consistent white finish. The detailed carved wood adds a European flair, and the golden accents bring the piece together. W90.2" x D39.4" x H29.5"